Online marketing is a game I’ve been playing for quite some time now. With all the discussions we’ve had about it, I’d like to think that I’ve given you plenty of tips on how to succeed in online marketing and how to make sure you’re doing the very best you can do. 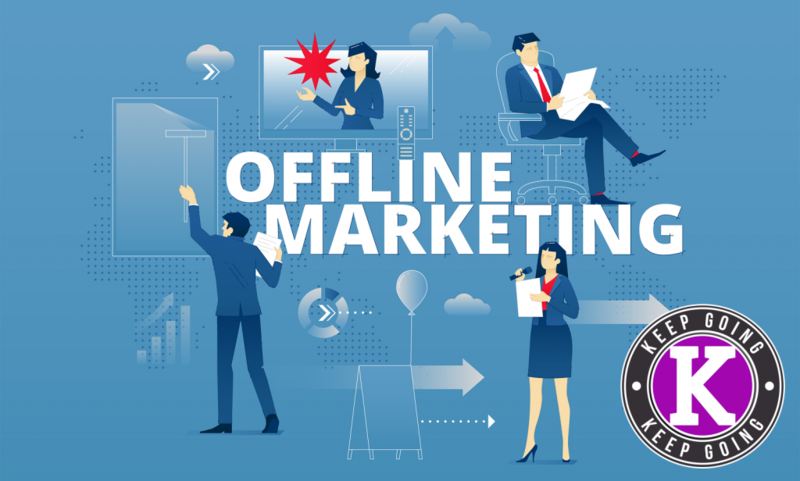 However with our online marketing bases covered, what else can we be doing to ensure our offline marketing is just as successful and put together as our online marketing? 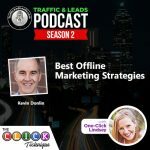 The best offline marketing strategies come to us from Kevin Donlin, a good friend of mine as well as a marketing expert! The creator of Client Cloning Systems, a company that helps entrepreneurs and businesses alike get more clients that mirror the best clients they’ve already had, Kevin has come up with a plethora of wonderful and effective ideas that will help to advance your business through the best offline marketing strategies. Let’s get started! 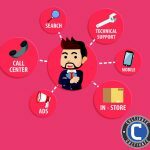 Before we get into the details of the best offline marketing strategies, however, we have to talk about The CLICK Technique! A five day crash course of my own design, The CLICK Technique is for people who find themselves and their websites dead in the water. If you’re looking for a way to increase your traffic and leads, give The CLICK Technique a try! Each letter in the word “CLICK” stands for a step you should be taking to push yourself forward, and at the end of it all, you’re guaranteed to find results! In the case of the best offline marketing strategies, we’ll be focusing on the “K”, which stands for “keep going”. After you’ve done your hard work—setting up your website, reaching out to potential prospects, building and cultivating relationships, and maintaining a sense of value with your content—the last thing you can do is just keep going! Success doesn’t happen overnight, and continually putting in the hard work and elbow grease to ensure that you’re going in the right direction is the best way to truly put The CLICK Technique to good use. Using the best offline marketing strategies is also a matter of persevering and pushing forward. It’s about using what you’ve already got to advance your business and build better and stronger relationships with prospects who might not be as close as you want them to be. By encouraging yourself to keep going, you’re putting the effort into actively progressing with your business and what you’re trying to achieve. Now that we know what we’re focusing on, the best offline marketing strategies becomes a little easier to talk about. It’s stated that while businesses are heavily focused on generated new traffic and leads on a pretty constant bases, most businesses overlook getting the most out of traffic and leads they already have. Failing to utilize what they’ve already got leaves gaps in what they could be achieving, and using the best offline marketing strategies to improve upon what you’ve already got is the best way to bridge those gaps, and push forward with progress. Though it might seem like an odd term, the idea of the “printed email” is one simple way you can improve your best offline marketing strategies and increase your conversations with both current and future prospects. It’s been used before—though I firmly stand in the belief that Kevin invented this entire notion himself—and it works in exactly the way you’d think, considering the way it’s talked about. A printed email is a printed off version of an email that you’ve already sent or are planning on sending. Once you have this hard copy of the email—regardless of the context—you proceed to send the hard copy to your prospects, including new brand ideas every month on how to take marketing to the next level. It might seem a little old fashioned and maybe out of date for people who prefer the simplicity of emails, but printed copies of what you’re planning on sending people electronically adds a layer of reinforcement, giving people more venues to receive your ideas and your outreach. After all, there’s a chance that people don’t always open the emails you send them, and with the various services that exist allowing you to track the emails you send out, you can see the results for yourself when they happen. If you ask me, it’s harder to avoid a physical piece of paper that’s handed to you, and though it might not promise an upper hand, it’s still giving you a push forward and an edge up above the rest of the clutter in someone’s inbox. Second in the list of the best offline marketing strategies is something called the Sales Conversation Starter. It’s based on the premise of the number one reason of failure in businesses, that being low sales and revenue. This technique is designed to increase your sales quickly, and the easiest and most efficient way to do that is by making phone calls. Now, we’re not talking about cold calling here. We’re talking about warm calling, and there’s a variety of different people you could implement this strategy with. For example, you could contact a targeted list of past clients and contacts, unconverted leads in your database, or even your contacts on LinkedIn. Regardless of the avenue you choose to pursue, all you truly need to make sure the conversation is effective is a reason to call, something to tell them once they answer, and a desired outcome from the conversation. Once you put those three together—as well as a list of 25 or 50 names to call—you can bang out effective phone calls in just a few hours, maybe less! Research tells us that if you call someone first thing in the morning, you can reach 20 to 50% of your people. And, as stated before, this isn’t cold calling. This technique encourages you to call people who you already have somewhat of a business relationship with. Whether you’re reaching out to a current or past prospect, the thing to remember is that you have to be able to offer them sometimes of value. Maybe it’s an addition to something they’ve just purchased, or maybe you’re reaching out to an unconverted lead after they’ve responded to a call to action from an email you’ve sent. Either way, the best offline marketing strategies rely on making sure you’ve got something to give when you make the initial reach out. Another important thing to remember when it comes to the best offline marketing strategies is that when you’re initiating these sales conversations, including the word “because” tends to give people more success. Research shows that giving reason for what you’re doing using the word “because”, and through explanation, makes people listen more easily and without struggle. And when you start selling conversations at the same time that you’re sending out email blasts, posting on social media, it’s going to start meaningful sales conversation overall. The last tip we can offer in terms of the best offline marketing strategies is something called the One Thing Scorecard. It’s a commonplace technique across all professions to try and do one thing that’s productive towards your overall goal, and marketing is no exception. That’s where the idea of the One Thing Scorecard comes in. Tacking onto this very popular notion, the One Thing Scorecard exists with the idea of taking down a variety of things you can do in a day that’ll increase progress in your business. Typically, the scorecard is on an 3×5 index card. There, you can list 4 – 6 things you could be doing regularly that’ll increase progress in your business, and line them up accordingly. These things could be simple, too, like mailing a letter, calling 5 prospects, or even responding to emails. 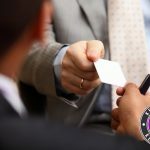 Once you’ve collected your respective list, look at the card every day and do one thing that will advance the business and gain more prospects. At the end of the week, you’ve got 5 to 7 checks in a row, and upon seeing your own personal progress, you don’t want to break the chain. So you push forward, doing one thing a day every week, until suddenly, you’ve done 365 things in one year! It’s that sort of constant reminder and perseverance that encourages you to keep going, and with the tasks being easy to achieve in a day, it’s just enough to make sure you’re doing something helpful, without feeling overwhelmed. As a bonus—once you have a streak, you can see where you’re headed and what you’re doing for your business, giving you a clearer outlook for the future. Overall, the best offline marketing strategies rely entirely on you and what you’re willing to do to put the work in every single day. While some people might talk about the ways that cold calling won’t work and that staying online is truly the most efficient way to constantly get new traffic and leads, we can’t forget about what we already have. Capitalizing on the relationships you’ve already made for yourself and your business is smart and gives you the strong foundation you need in order to reach out and make those new contacts in the future. The best offline marketing strategies work as well as they do because of the effort that people put in, and letting yourself do something as easy as one helpful contribution a day is a great start to pushing towards a bigger picture and a successful end result. Hopefully, these tips will help you in the same way that they’ve helped us, and remember to use what you’ve got first and make something new once you’ve got the room—and power—to do so!